It was a raucous affair, like the last day of term at school before the summer hols, but without Hungry Hippos, Connect Four and any form of discipline. Over at the BBC, news of the tragic air disaster had been dropped, the BBC said it was a decision they had not taken lightly, but a car enthusiast with a decent right hook had been sacked. So it was a momentous day, “remember where you were when Clarkson was sacked”. But it was more than that, Cameron had revealed that he was going to step down after the next parliament (the old Tony Blair, “vote for me and I promise I’ll piss off next time” trick), Rebekah Brooks doesn’t control the tabloid media and the BBC top gear presenter has gone. The Chipping Norton set has been chipped away, I wonder if their passing will be mourned by future generations? Back in the arena, Miliband collapsed like a “reasonably priced” car in a scrapyard. Ed was sucked in like a naïve teen in the horror film, “Don’t go outside and see what that bang was, are you mad”. Yesterday, Osborne said they had “no plans” to raise VAT. No plans means “Damn right we will,” so Ed’s team decided to attack him on that. When Miliband demanded to know if the PM was going to raise VAT, the PM stood up and said he categorically wasn’t. It took five years to get a straight answer out of Cameron, and it ended up with egg on Miliband’s face. Ed looked rattled, “nobody is going to believe it”, he trembled, but the screams from the Tory benches drowned him out. 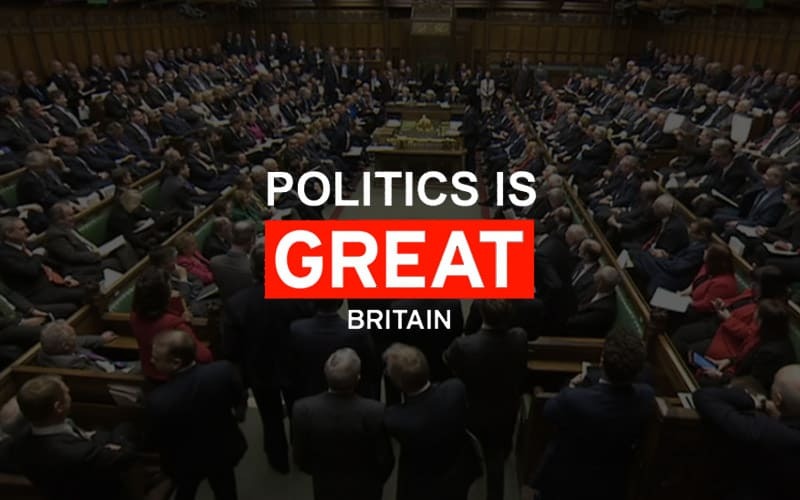 Today the Tories cheered each of their MPs who asked questions, it was obviously stage managed, but to their credit it showed unity, which was exactly the point. Sometimes you can see a PR stunt and still admire it. The PM, as ever, turned PMQs it into Shadow Leader’s questions, and demanded to know if Miliband would increase National Insurance, and Ed wouldn’t answer. After PMQs, Labour came out and categorically denied they would, but the damage was already done. There was a comic moment when Michael Connarty, Lab, stood up. First someone shouted “SNP gain,” then the PM began to pay tribute to him, for standing down after the election, he shouted out that he wasn’t (well not voluntarily), Cameron laughed it off and paid tribute to him anyway, in whatever job he might have after the election. Cameron went at Labour again, he said Alex Salmond had taken the entire Labour party hostage, and they have just received his ransom note. Labour appears to be suffering from Stockholm Syndrome. Then Stephen Pound, Lab, cheekily referred to the “rougher elements in the house, who chose to refer to PM as chicken, I hope we have moved on, can we call him a lame duck”. The PM shot back that the lame duck was the UK being held to ransom by the SNP, “never mind ducks, I’m looking at Salmond’s poodle”. The Tory MPs started shouting “woof woof”. Elected officials shouting “woof woof” in Parliament. No way the kids would have got away with that at my school’s last day of term. Simon Danczuk, UKIP (ok Lab) who complained about asylum seekers in Rochdale, allowing the PM to repeat Danczuk’s comments that in Rochdale, Rotherham, Runcorn; Labour voters hate Miliband. Cameron then also listed Reading, Redditch, Rossendale and a host of others ending with Rosyth, a once safe Labour seat. Cameron was triumphant, but was it Chipping Norton’s last stand?